The ‘Taifun’, Russia’s second Karakurt-class ship, has joint the lead ‘Uragan’ in sea trials. The 800-ton missile corvette is meant for littoral combat and closer-range blue water missions, and has Kalibr cruise missiles among its weapons. 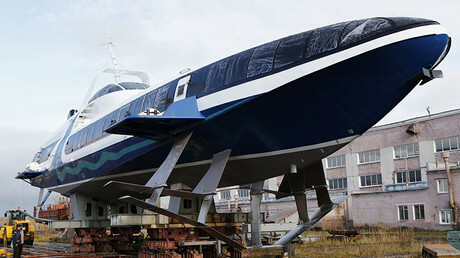 Its producer, the St. Petersburg Pella shipyard, floated out the ‘Taifun’ on Thursday. Deputy Navy Commander Viktor Bursuk said the Russian military is eager for the Karakurt-class vessel to finish its trials and enter service. “The weapons of this ship are virtually erases the difference between a littoral zone and the blue water. They will be handy both for attacking shoreline targets and against enemy surface ships,” he told journalists. 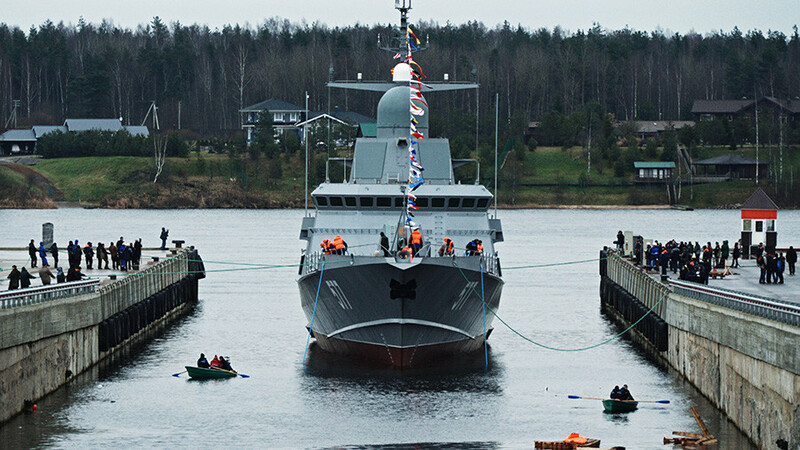 The Karakurt-class is one of more modern designs, with the first two ships laid down in 2015. Both the ‘Uragan’ and ‘Taifun’ are expected to join Russia’s Black Sea Fleet next year. Ten more ships of the class have been contracted by the Defense Ministry and six more are reportedly under consideration. The 67-meter ships have an operational range of 2,500 nautical miles, have a top speed of 30 knots and can carry eight Oniks or Kalibr missiles in vertical launch systems as their primary weapon. They are also armed with two AK-630M automatic air defense guns, which will be replaced with a Pantsir-M system on later ships.